Adriel'sPlace is an open design, spacious beach house, located in a private sub-island within Anna Maria. A quiet residential neighborhood tucked away on the natural mangroves of Anna Maria Sound and Bimini Bay. vehicular traffic, yet just a stone throw distance from all beaches, restaurants and the rest of the island amenities . Recently renovated with travertine marble and Brazilian cherry woods in guest quarters. A modern gourmet kitchen featuring stainless steel appliances and wrap around granite breakfast bar . New environmental friendly and low allergen air conditioning system. New bathroom designs featuring rich wood cabinetry and marble tops. European style shower panels feature rain mode shower or multi-jet massage nozzles. Panoramic pocket sliding glass doors open the whole house to an inviting pavered unscreened pool terrace and waterway views. Great for family entertaining. Master bedroom features a queen size bed. Guest room has 2 twin beds + 2 pull out twin matresses for chidren. In addition a queen sofa fed is available in the family room . This house is my family's summer home. It is not a hotel accommodation and should not be treated as such. Anna Maria is a unique seven mile barrier island. Located West of Bradenton and North of Longboat Key and Sarasota. Reached by either of two bridges from the mainland, it remains undisturbed and one of the most picturesque coastal scenes in Florida. No high rises, no chain or fast food, a quiet villa atmosphere dotted with bike paths and marinas, friendly locals, great shopping, fishing, boating, miles of unspoiled turquoise blue beaches. A designated wildlife sanctuary, a protected nesting site to endangered loggerhead turtles, and home to many other species. Only a few minutes by boat to beautiful Passage and Egmont Keys, unique and among the first chartered federal preserves bird sanctuaries. Well guarded secret among locals, they feature the most beautiful beaches in the west-coast of Florida. Driving distance from Bush Gardens Tampa and Disney, Universal Studios and Sea World in Orlando. Entertain friends and family in unique ambiance on this private waterside locale where every convenience is provided. Pristine Canal waters with no bridges to gulf and Anna Maria Sound. My husband I stayed for two weeks. Nice location. House had plenty of room and was well equipped. Patio and pool area is very nice. Our family was warmly welcomed by the home owner upon our arrival. The open space of indoor and outdoor living was perfect for us. Some minor housekeeping issues that the home owner graciously apologized for and refunded us the cleaning fee was much appreciated. We would come back again!! Marnie you were great guests, welcome anytime. Housekeeping issue has been addressed and resolved. A new handheld shower device was installed. We stayed at the home in February, 2019 for 10 days. We really enjoyed the pool and the spacious home. It is ideally located in a very quiet and intimate location. The owner was quite responsive and accommodating. Thanks Gil! I wish there was a way to rate negative stars. When we arrived, this place was so disgustingly run down, we left IMMEDIATELY. We have filed a complain against the owner through VRBO,and will take additional steps to get a refund as the owner has denied to refund our money. The Health Dept will also be notified. Upon our arrival the exterior of the property was sloppy and the landscaping was overgrown and trashy. As we stood at the front door, the first thing we saw was a threadbare, dirty floor mat. We had an uneasy feeling about even going in. Entering was a mistake. The interior doors had paint peeling off of them, the walls were marred and dirty, and the base boards throughout the house were black with dirt and what looked like mold. The refrigerator was too disgusting to put food into it. It looked like it had Black mold on the entire length of the rubber door frame and the interior had multiple spills and goo between the shelves.,All of the kitchen surfaces were greasy to the touch, and the cabinet handles were rusted, greasy and disgusting. Sorry I keep using that word, but it fits so well ! Let me go on. The towels in the bathroom were dirty, stained, and threadbare. There were clothes hanging in the closets. There were bare mattresses on the floor that were stained. There was even garbage under the bed! The outdoor grill was rusted, dirty, and 1/2 filled with ashes from years of neglect. This place should not be allowed to be rented. Although I could refute line by line this negative review, I will address this in a positive way and for the benefit of all the fine and decent families that seek a vacation home to spend quality time on their vacation in this wonderful island. Although cleaning crews can always do a better job, I the owner, supervise the house prior to all check-ins. I personally will not allow the conditions described by this guest. In fact, they were offered a personalized crew to conduct detail cleaning in depth but they refused opting to check out early. from home. If you prefer a 5 star hotel accommodation I am afraid they are not available in Anna Maria Island. I suggest you go elsewhere. As for the cancellation and early check-out policies , they are clearly spelled out on the ad site and on the lease I require you to sign. Last but not least, I realize we all have different standards. I suggest your read all my reviews during 17 years of renting my house on VRBO. Very nice home and in a great location. Owner was very good to deal with which makes it pleasant. Will hopefully stay here again. Property was just as advertised. Great location. Great view on the canal. Pool was perfect. Owner was very receptive and providing information before our stay in during our stay. We did have some questions pertaining to check in and check out. And also a couple functions with the pool. And every time we called or texted him, he responded back immediately. It was a great vacation for our entire family. We got a lot of rest and have a great time on the island. We were very sad to have to come back home to Indiana. 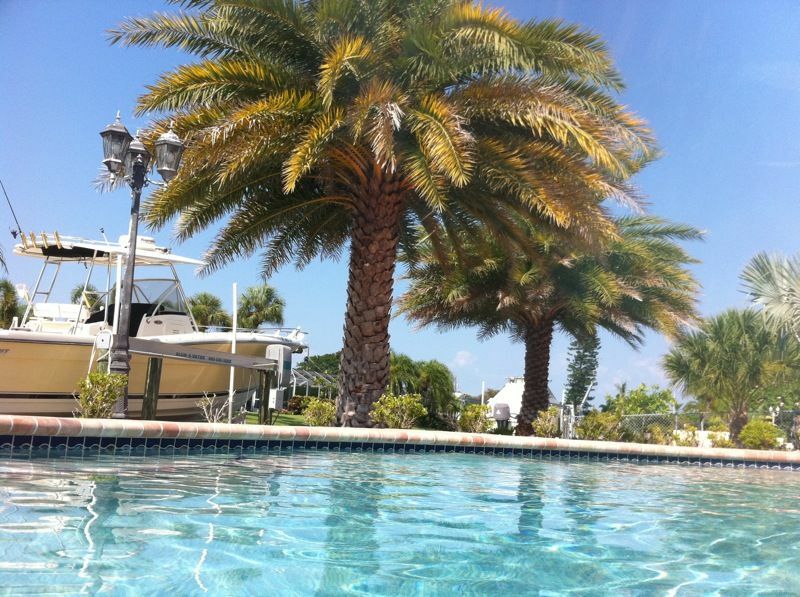 We would recommend this place to anybody interested in traveling to Annamaria Island area. Anna Maria Island is a well kept secret among Floridians. It remains unspoiled and reminiscent of the true old Florida island beach town. Unpretentious, yet magical to the eye, it is unique among the many barrier islands in Florida. Breeding ground to many protected species, nesting ground of loggerhead turtles. See manatees and dolphins frolicking in their natural habitat, sea birds catching a meal, ospreys diving in torpedo like torpedo acrobatic to catch their pray. Fantastic turquoise blue beaches, no high rise buildings, no chain retaurants, just old fashion family oriented fun. Golf: Private golf course within walking distance of house and many public courses within 20 to 30 minutes.